Glad to be a Girl: Ster Kinekor, what are you doing? Ster Kinekor, what are you doing? After that we went to watch Night at the Museum. Good-hearted dreamer Larry Daley (Ben Stiller), despite being perpetually down on his luck, thinks he's destined for something big. But even he could never have imagined how "big," when he accepts what appears to be a menial job as a graveyard-shift night watchman at a museum of natural history. But during Larry's watch, something extraordinary happens: the museum's exhibits magically come to life. A fearsome T-Rex insists on a game of fetch (with one of his own skeleton bones); Mayans, Roman Gladiators, and cowboys emerge from their diorama to wage epic battles; and a wax figure of Teddy Roosevelt gives Larry important advice while harboring a crush for an Indian princess. As things spiral wildly out of control, Larry must find a way to control the magic to stop a nefarious plot and save the museum. Which brings me to a whole other point. Last night, for convenience we went to Ster Kinekor. Ster Kinekor used to be my cinema of choice, mostly because I was on Discovery Vitality and this got me cheap movies. I'm a big fan of the cheap movie, movies are one of the many things on my long list of things I can't justify paying vast amounts for. So when I changed jobs and moved to the Big Corporate I'm now at, they forced me to change my Medical Aid (another sore point :P) and I had to leave my Ster Kinekor Movie Club card and my Discovery Vitality behind. Shortly thereafter I found myself opening an Edgar's account to ensure continued cheap movies thru their Movie Club. This involved a switch of allegiance to Nu Metro. I'm not sure what Ster Kinekor has been up to, they reshuffled and set up 2 cinema alternatives: Classic or Junction. Junction cinemas are cheaper but have no reserved seating, and on occasion, I have seen this cause punch-ups before the previews are even finished. I think it's probably a great concept, pity about the practice. Either way I found myself paying for Ster Kinekor movie tickets last night. I was horrified. Movies these days cost R40 (really?) ... my Nu Metro card will get me & 3 friends in for R16, a far more believable movie price. So, I'm wondering, what exactly am I paying for ? I didn't get free popcorn or coke and I wasn't sitting on a lazy-boy chair. In fact I was still surrounded by the usual assortment of idiot movie-goers all talking to their friends and bringing their under-5s with them. Hello, am I the only person who finds this arrangement truly bizarre? At least at Nu Metro's Montecasino cinema, they have one of those huge cinema's with the giant seats. And for that I can still pay a mere R19.50 to watch a new release. Ster Kinekor, what are you doing ? If anyone could explain it to me, I'd be truly grateful. 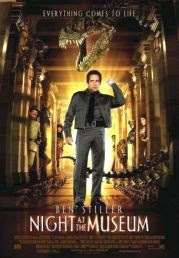 It's a pity you didn't see Night at the Museum at Nu Metro Montecasino. It's currently showing in Il Grandé, and it's digital. It is only the second digital film to hit our shores (the first was Happy Feet), and, being a live action film, it had the best picture quality I have ever seen in my life. clearly they're trying to get everybody to go over to Nu Metro? We paid about R63 to see Night at the Museum in Owings Mills and over R70 to see Pan's Labyrinth here in New York... It's much better to think about it in dollars. And what did you think of Pan's Labyrinth, akika?